Where is your faith and how much freedom does it bring you? Is you faith in your nation? Do you leave it in the hands of faithless men voted into office or do you seek the freedom that can never be taken away from you? 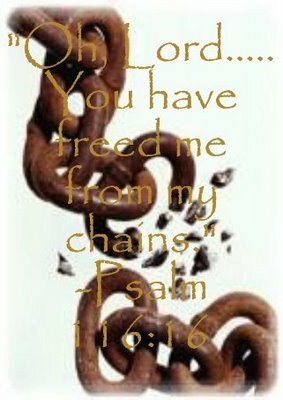 When we look at God, being the Master of our freedom, we know for certain, it can never be taken away, for the simple fact, it was given to us, from Him in the beginning, so we can pull closer to Him and ask Him in which way we should go. When we set out seeking a different form of freedom, freedom in men to do as they see fit with our gifts, our moralistic rights will always be left out in the cold, or rather, compromised in the decisions that they make, because theirs can never match ours. Theirs are theirs and yours are yours. When God is the center of both, our morals become united by Him to do His will, and therefor become a fiber. A single thread in what is right and just, waiting to be knitted back in the fabric of a society lost in self-absorption and on the brink of narcissism. When freedom is on the brink of being lost, it takes effort and work to bring it back. It is not something that can be left in the hands of others, simply because one thread that is good, has been sewn back in the moral fiber of a nation. More threads must be produced, in order that the fabric can be sewn back into what it should be. I beg my readers to not let sloth come into play again, in regards to the Religious Freedom we have in this nation. The battle against the Culture of Death, is not against just one man or woman, but an ideology of many. Unlike our faith, which is the belief in One God and obedience to Him. It takes much more then one election to change the tide against it. If we let it go now, there is no telling if we shall ever see it again. My Great Uncle, who entered into eternal life in 1981, Msgr. 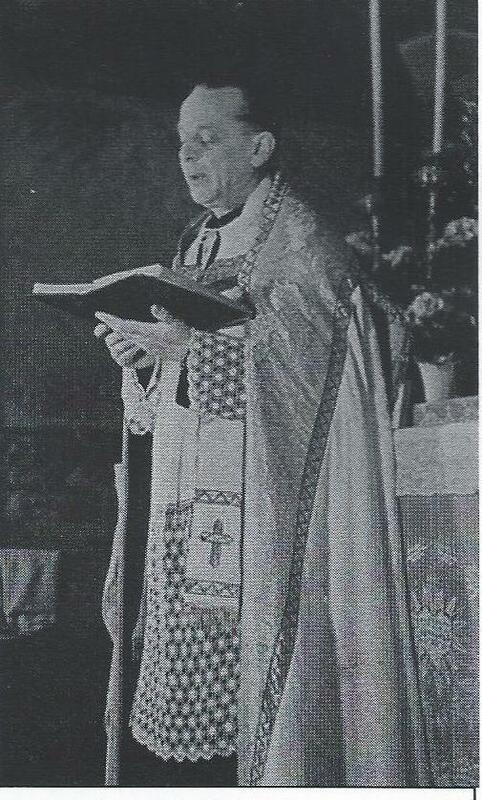 Mikulas Misik, was ordained a Catholic Priest in 1930, in Slovakia. He survived the Nazis, then survived the Communist Occupation. Never giving into either of them. He never stopped celebrating daily Mass, even with the threat of death because of his faith and vocation being a Priest. He faced this on a daily basis. He was even thrown into prison for being Catholic and, if one is taking an oath of poverty in a Communist country, poverty is illegal and taking an oath of poverty goes against the “law”.. He never believed his nation would save him, even though he served in the Slovakian Army before becoming a Priest. When he passed into Eternal Life, December of 1981, he did so never seeing freedom again for his nation of Slovakia, but lived every day in the freedom that our Lord provided him and all his flock. He could have left, but chose to stay with the sheep. He could have caved and left the priesthood, so his life might have been easier in “Society”. I am greatful that idea never crossed his mind. I only met him 3 times. On one occasion, he presided over my First Holy Communion Mass. (Photo above) The first time I met him, I was about 4 and I told him I wanted to go back with him to his country because I wanted to be a princess and live in a castle like all priests and nuns do! To this day, his faith influences me and has been a gateway for me to know what true faith in God is all about. Freedom. One day I hope that I will be in his nation, the nation I believe he may be in today, with my Lord in the Kingdom of Heaven. Thank you for sharing that story! So special…God bless! Freedom…. revisited. A few thoughts from 2012.